After being kept in the dark about the Bin Laden operation until after it was over, Pakistani government officials have complained that they should have been involved or informed. The ISI – Pakistan’s intelligence agency – has been especially embarrassed by this entire episode, considering that they should have known Bin Laden was living in hiding on their soil for at least five years. Pakistan’s military intelligence organisation has confirmed that the leader of the Taliban group is hiding in the west of Pakistan’s Quetta city, reports say. A senior Pakistani intelligence official has said the Inter-Services Intelligence Agency (ISI) will step up a huge operation to detain or kill the Taliban leader Mullah Omar. Meanwhile, Afghanistan’s Foreign Minister during his visit to China said the death of Osama Bin Laden in Pakistan could end up helpful to Afghan peace process. 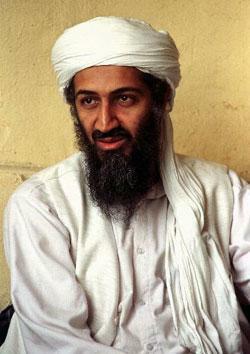 After the death of Osama Bin Laden in the garrison town of Abbottabad, the country’s military intelligence agency has been planning to detain or kill the Taliban leader. Some reports suggest the ISI has already launched a hunt-down operation in Quetta city of Pakistan. Regardless of accuracy, imagine if this story had been about Bin Laden rather than Omar. U.S. government officials would be howling about it for weeks. In the immediate aftermath of the news that Osama bin Laden had been killed, one of the key questions asked by journalists and policymakers was about Pakistan’s complicity – or the lack thereof. At the center of this political firestorm is Pakistan’s military and intelligence services, a key domestic political constituency. The Pakistani people and the press are now asking themselves the same uncomfortable questions that were asked about the CIA’s assessments of Saddam Hussein’s nonexistent WMDs: did we get it wrong because of incompetence or because we knew about it and looked the other way? A secondary question, and perhaps bigger in terms of domestic politics, that has emerged in Pakistan: how did American helicopters loaded with Navy SEALs fly into Pakistani airspace and carry out a 40-minute raid without anyone in the national security apparatus noticing? The fact that the most wanted man in the world was found living in a suburb of Islamabad approximately three hours outside of Islamabad, where he had been living for years within walking distance of a police station and the Pakistani equivalent of West Point is absolutely astounding. It disproved the conventional wisdom that he had been hiding out this entire time in caves in Pakistan’s Federally Administered Tribal Areas. A Pakistani official familiar with information provided by one of Bin Laden’s wives said that before Abbottabad, the Al Qaeda leader and his family had been living in a village 40 kilometers away near the city of Haripur from as far back as 2003. It’s worth keeping in mind that Bin Laden is not the only senior Al Qaeda member to have been caught in an urban area of Pakistan. Khalid Sheikh Mohammed and Abu Faraj al-Libi were apprehended in Rawalpindi and Mardan, respectively, with Pakistani involvement in both operations. Unfortunately for the Pakistanis, their long track record of denials about Bin Laden’s presence in their country, and the “double game” played by the government – supporting the U.S. effort against Al Qaeda, while at the same time supporting the Taliban and the Haqqani network – means that the burden will be on them to prove that they didn’t know. This essentially forces them to prove a negative, something which is very difficult to do effectively and beyond dispute. Pakistan’s intelligence service is already in full-blown damage control mode. ISI chief Lt. Gen. Ahmad Shuja Pasha is heading to Washington to offer explanations. The Daily Beast recently reported that Pasha may step down as the government’s fall guy over the Bin Laden intelligence failure. Pakistan’s embarrassment over the Bin Laden episode may give the United States some political and diplomatic leverage in the short term – perhaps in the form of renewed pressure for actionable intelligence on Mullah Omar or Ayman al-Zawahiri. Expect the U.S.-Pakistan relationship to remain frosty at least until the Pakistanis are able to convince the Obama administration and Congress that they didn’t know Bin Laden’s whereabouts. However, if evidence emerges that people in the Pakistani government knew about his location and withheld that information from the United States, it will be a whole new ball game. Update: More Bin Laden raid fallout on the Pakistani domestic political front… Lawmakers are calling on President Asif Ali Zardari and other senior government officials to resign. Update II: Apparently part of the ISI’s CYA effort is outing the identity of the local CIA station chief in the Pakistani media. The Times of India puts the whole mess into context. Update IV: Correction. A previous version of this inaccurately referred to Abbottabad as a suburb of the Pakistani capital city of Islamabad. According to Google Maps, Abbottabad is approximately 70 miles to the north. Thanks to Huffington Post reader Kazim Nawab for pointing that out.